Equality Texas invites you to participate in YOUR government and to come to Austin on Monday, April 13, to meet face-to-face with those who represent YOU and talk to them about how the freedoms we value as Texans are affected by discrimination in based on bias against sexual orientation and gender identity or expression. Advanced registration is required in order to prepare constituent-matched materials and make strategic lobbying team assignments. Equality Texas will provide lunch. 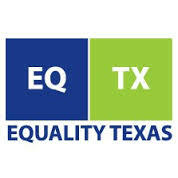 If your organization would like to partner with Equality Texas for Freedom Advocacy Day please contact DanielWilliams@EqualityTexas.org. The Spirit of Texas Brunch brings together influential LGBT and ally Texans, speakers, and award honorees for an enjoyable champagne brunch to celebrate diversity! The Brunch is Equality Texas’ annual statewide celebration and an opportunity for you to make an important impact on improving the lives of Texas’ diverse lesbian, gay, bisexual and transgender (LGBT) population. Please join us as we say “thank you” to Texas leaders who have worked to advance equality for Texans in their workplaces, families, and communities! All funds raised at the event support Equality Texas’ work toward a state where all Texans are treated equally, with dignity and respect. Early-bird ticket sales end in TWO 1/2 WEEKS!